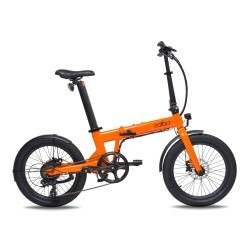 We place in this category, the bikes designed for sizes below 1m56. (Size XS or S) is The length of the cranks is adjusted to smaller sizes. This point is very important to allow good recovery : the crank is shorter, the knee goes up less high and the venous return can be done naturally at the level of the popliteal fossa. As the blood circulates more freely, the heart less tired and the blood gets more oxygen. The frame height is 40 or 44 cm.